I am writing to express my sincerest thanks to you for providing the 2006 scholarship to the AZA principles of elephant management school. The school was a great opportunity to share experiences among peers, solve problems and acquire new ideas. Every topic was discussed from behavior to veterinary care. I really enjoyed the open discussions and group projects that brought everyone closer together. I feel the knowledge that I gained will only contribute to my pursuit in continuing to provide excellent care to our elephants. When I returned back home, I decided to implement what I had learned and contacted our local hospital for assistance with a portable radiograph. 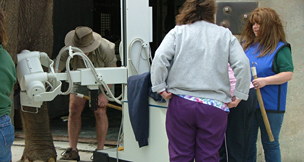 In April, we were able to get digital radiographs of our elephant’s feet. My latest endeavor is to start a health committee for the elephant managers association, in hopes of connecting a wealth of knowledge among all elephant caregivers. It is an honor to be recognized for my hard work and receiving this scholarship motivates me to continue to strive for excellence. 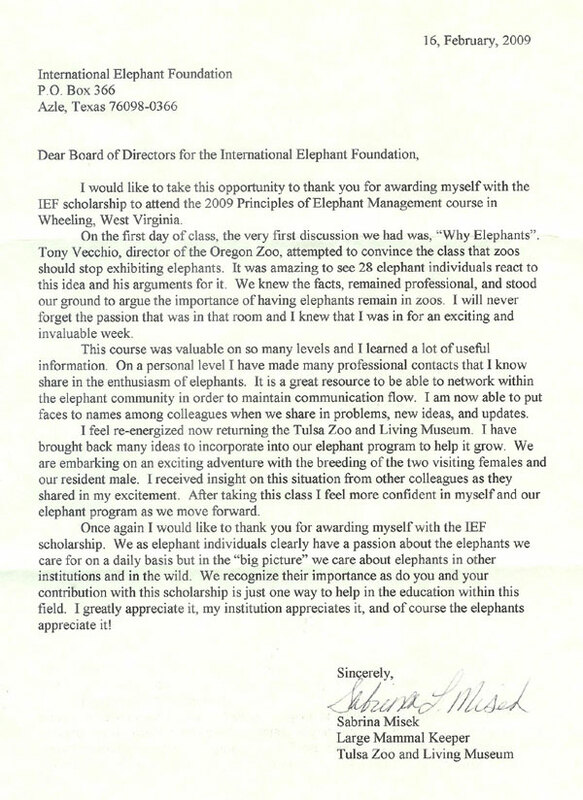 I will be forever grateful to the International Elephant Foundation for its generosity.